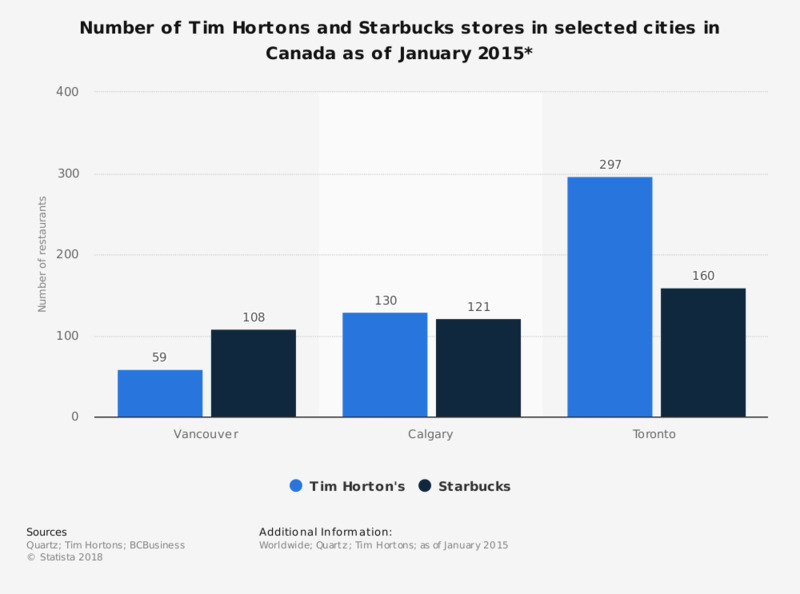 This statistic shows number of Tim Hortons and Starbucks coffee houses in selected Canadian cities as of January 2015. Vancouver had 59 Tim Hortons stores compared to 108 Starbucks coffee houses. In the same year, there were 23,043 Starbucks stores worldwide. * Figures are for the cities proper.